BCF : Capitalism is the greatest engine for the production of wealth that the ingenuity of man has ever devised. 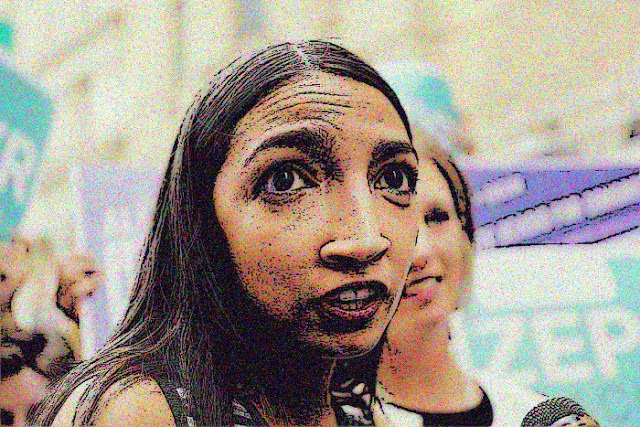 But after it achieves a certain level of prosperity, it regularly excretes characters like Ms. Ocasio-Cortez, beneficiaries of capitalism whose contempt for its strictures is equaled only by their ignorance of its tenets. Today, we see that a couple of decades of socialism has transformed Venezuela from one of the richest countries in South America to a society on the verge of collapse. Margaret Thatcher famously observed that the problem with socialism is that sooner or later you run out of other people’s money. Ocasio-Cortez hasn’t grasped that yet. Thus she has campaigned for tuition-free universities and the forgiveness of all student loan debt in the United States, the price tag for which is well in excess of $1 trillion. She wants the United States to abandon fossil fuels and somehow (physics is not her forte) run the electric grid entirely on wind and solar power. Naturally, she advocates a single-payer health care system and wants to abolish the U.S. Immigration and Customs Enforcement agency.